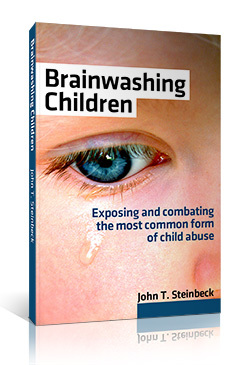 When your child is dropped off with your ex following your weekend or other multi-day visitation, a brainwashing parent will usually give your kid(s) a post-visitation “shakedown”. The goal of the parent doing this is to extract all the details, looking for those that put the other parent in bad light. The poor child knows the parent wants to hear only the bad (nevermind that he/she just learned how to, say, ride a bike for the first time during this visit). So the child states the case the alienating parent wants to hear, often exaggerating or even lying. How do you combat this? You can’t, mainly because you know it’s going on but you can’t prove it. Moreover, you simply can’t control the other parent’s behavior. So what you do is not think about the “shakedown” event. As long as you’re being the best parent you can be and do not engage in the awful behaviors the alienating parent is, you’ll come out fine in the end. And the child will remember the campaign against you eventually, and how fraudulent it was. This, in turn, turns into the brainwashing boomerang. It’s a shame what parents will do following a child’s time with a parent. The attempt to strip the bonding moments down and label them something different is without question child abuse.